Today’s business world is changing with the adoption of IoT (Internet of Things). IoT is helping in prominently capturing a tremendous amount of data from multiple sources. However, wrapping around the multitude of data coming from countless of IoT devices, makes it complex to collect, process, and analyze the data. Realizing the future and full potential of IoT devices will require an investment in new technologies. The convergence of AI (Artificial Intelligence) and IoT can redefine the way industries, business, and economies functions. AI enabled IoT creates intelligent machines that simulate smart behavior and supports in decision making with little or no human interference. Combining these two streams benefits the common person and specialists alike. While IoT deals with devices interacting using the internet, AI makes the devices learn from their data and experience. This blog highlights why we need IoT and AI to work together. 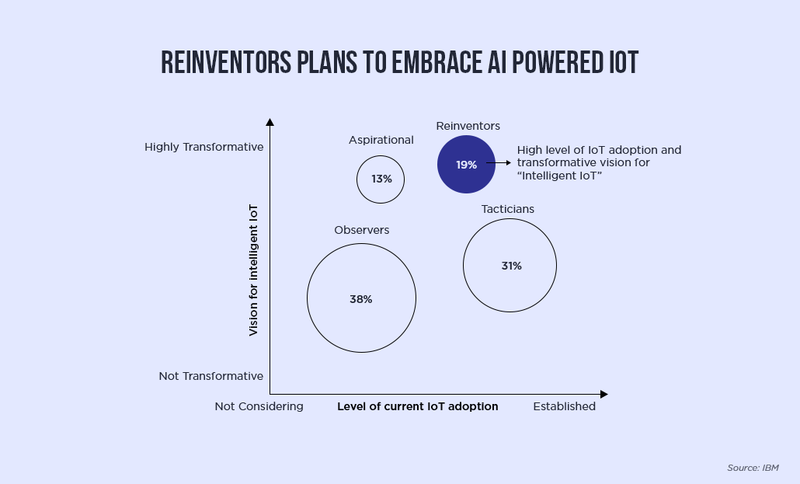 Both startups and large companies prefer AI technology for unleashing the full potential of IoT. 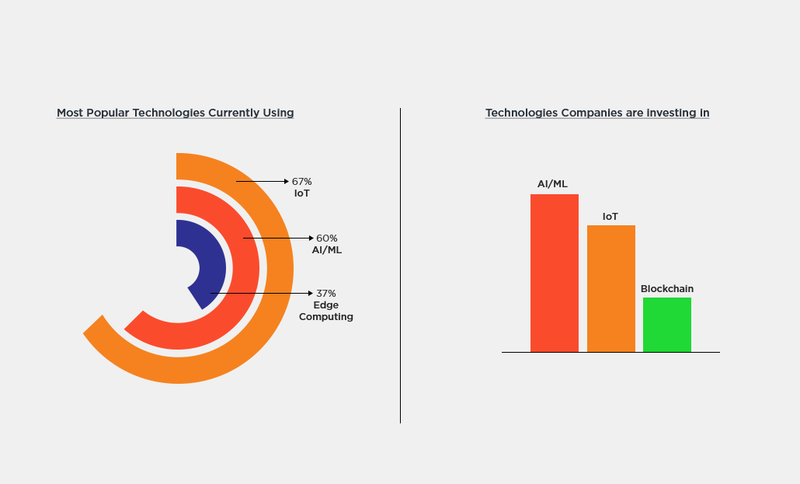 The leading vendors of IoT platform like Oracle, Microsoft, Amazon, and Salesforces have started consolidating AI capabilities into their IoT applications. Where does AI unlock IoT? At its core, IoT is about sensors implanted into machines, which offer streams of data through internet connectivity. All IoT related services inevitably follow five basic steps called create, communicate, aggregate, analyze, and act. Undeniably, the value of the “Act” depends on the penultimate analysis. Hence, the precise value of IoT is determined at its analysis step. This is where the AI technology portrays a crucial role. AI in IoT crunches the constant streams of data and detects the patterns not deceptive on simple gauges. In addition, machine learning coupled with AI can predict the operation conditions and detect the parameters to be modified to ensure ideal outcomes. 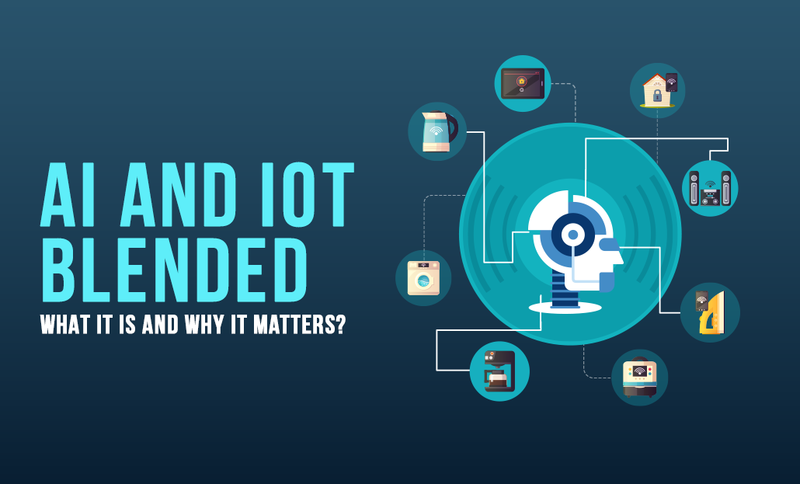 Hence, intelligent IoT offers an insight into which processes are redundant and time-consuming, and which tasks can be fine-tuned to enhance efficiency. Google, for example, brings the power of artificial intelligence into IoT to reduce its data center cooling costs. Pairing AI with IoT helps businesses to understand as well as predict a broad range of risks and automate for the prompt response. Thereby, it allows them to better handle financial loss, employee safety, and cyber threats. Fujitsu, for example, ensures worker safety by engaging AI for analyzing data sourced from connected wearable devices. NLP (Natural Language Processing) is getting better at allowing people to communicate with devices. Undeniably, IoT and AI together can directly create new products or enhance existing products & services by enabling the business to rapidly process & analyze the data. Rolls Royce, for example, plans to leverage AI technologies in the implementation of IoT-enabled airplane engine maintenance amenities. Indeed, this approach will support to spot patterns and discover operational insights. IoT devices range from mobile devices and high-end computers to low-end sensors. However, the most common IoT ecosystem includes low-end sensors, which offers floods of data. 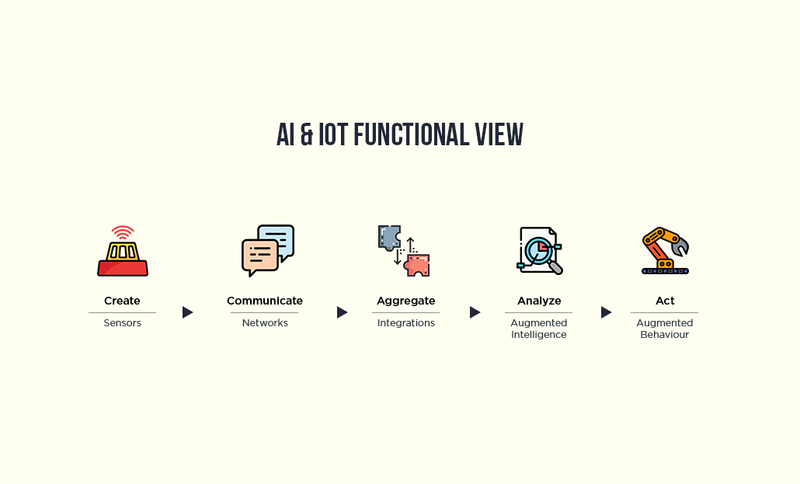 AI-powered IoT ecosystem analyzes and summarizes the data from one device before transferring it to other devices. As such, it reduces large volumes of data to a handy level and allows connecting a large number of IoT devices. This is called scalability. In some sectors like offshore oil & gas and industrial manufacturing, equipment breakdown can result in costly unplanned downtime. The predictive maintenance with AI enabled IoT allows you to predict the equipment failure in advance and schedule orderly maintenance procedures. Hence, you can avoid the side effects of downtime. Let us have a closer look at businesses that have achieved better user experience and designed new business models with AI-powered IoT. Manufacturing is one of the industries that already embraced new technologies like IoT, artificial intelligence, facial recognition, deep learning, robots and many more. Robots employed in factories are turning smarter with the support of implanted sensors, which facilitates data transmission. Moreover, as the robots are provisioned with artificial intelligence algorithms, they can learn from newer data. This approach not only saves time and cost but also makes the manufacturing process better over time. Tesla’s self-driving cars are the best example of IoT and AI working together. With the power of AI, self-driving cars predict the behavior of pedestrians and cards in various circumstances. For example, they can determine road conditions, optimal speed, weather and getting smarter with each trip. Retail analytics involves numerous data points from cameras and sensors to observe customers’ movement and to predict when they will reach the checkout line. Thereby, the system can suggest dynamic staffing levels to reduce the checkout time and increases the productivity of the cashiers. Nest’s smart thermostat solution is a good example of AI-powered IoT. The smartphone integration can check and manage the temperature from anywhere based on the work schedule and temperature preferences of its users. Overall, IoT coupled with AI technology can lead the way to the advanced level of solutions and experience. To obtain better value from your network and transform your business, you should integrate AI with incoming data from the IoT devices.